Polaroid marketers nowadays do not get the kind of budget their forerunners did three decades ago when sales were in the billions of dollars, and it hasn't had an ad agency of record in years. Yet, tech is helping the legendary brand make creativity a winnable in-house game. 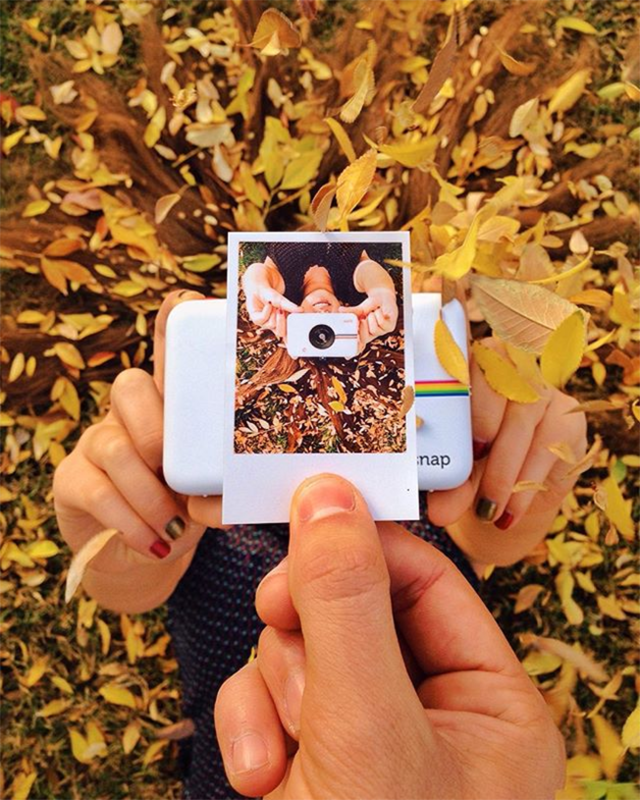 The first Polaroid effort via Social Native in July 2015 organically reached 2.5 million Instagram users within three weeks, and Paine has routinely been using the platform ever since. In fact, CES attendees next week will see the creator-generated work in the brand's booth as a continuation of its holiday campaign for its blue-tooth-enabled Polaroid Snap camera. "Our cost-per-engagement has been as low as 13 cents," Paine explained. "We got a lot of great stats, and [some of that content has gotten] turned into digital advertising. And that's where we really saw the uptick in usefulness." Using the pics for Facebook, Twitter, Instagram and Google ads produced better results than the one-off campaigns that his team ran with digital agencies during recent years, he said. The system has helped Polaroid, at times, see a 180 percent jump in sales. "The top-performing creative piece [from agency work] was getting a 1 percent click-through rate," Paine stated. "And the Social Native stuff shot up to 5 percent CTR. And it drove a lot of traffic and sales to Amazon." There's long been a debate about whether content creators and social influencers actually ramp up sales for brands. Earlier this month, Sperry raved to Adweek about how well its micro-influencer program was performing as the brand utilized Curalate. At the same time, a recent Linqia study found 78 percent of marketers said that determining the ROI of influencer marketing will be a top challenge in 2017. Social Native's marketers contend that they are not pitching influencers, but instead their platform is all about superior content that's born from social media users. The brands lining up to laud the company are impressive—it's not just Polaroid. Coca-Cola extracted several hundred photos in a 48-hour period in one initiative, while Walgreens targeted Asian, Arab and black American women on Facebook with targeted images to pitch mascara. "It saw a [four times] increase in performance of working dollars," said Social Native CEO David Shadpour. "We made the creative and informed media buy with data." After creators accept an assignment and then post their work to their social media channels, his company's software identifies the branded content that's getting the best engagement. Then, the marketer can select what images to amplify with spend. "We treat their social audience like a focus group to determine the value of their content," he added. "You get content from not just one lens but from a wider array of lenses. It's helping our clients making better decisions [for advertising]." Polaroid has been spending roughly $12,000 a month on the Social Native program, which can be used globally in eight languages. Paine said his in-house creative staffers work with the Social Native images in a sort of hybrid capacity to come up with the final campaign. And it seems to working just fine—even without an agency on speed dial. "Twitter's getting, in the second phase [of a new effort], about 1,000 tweets and mentions a day," he said.